Build strength, speed, endurance, and flexibility and learn what it means to be physically—and spiritually—fit. 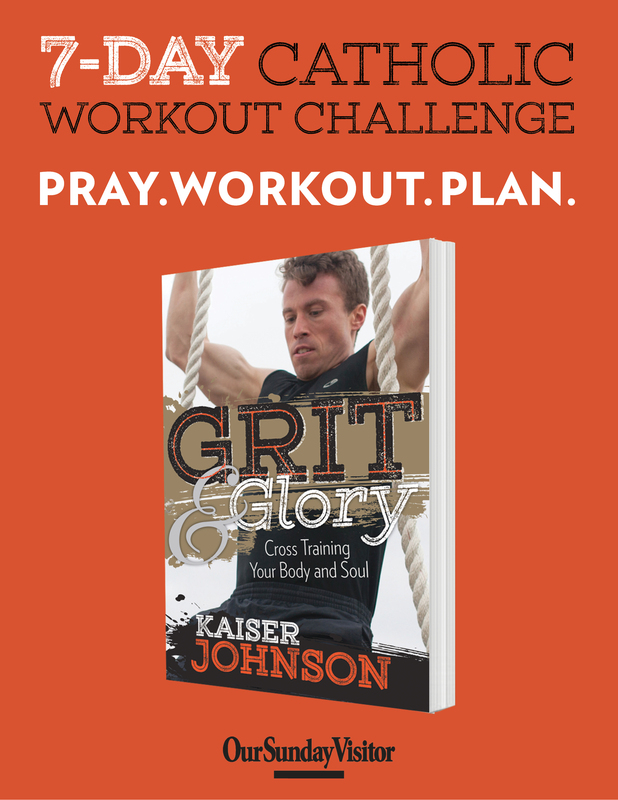 In Grit & Glory, actor and elite obstacle racer Kaiser Johnson teaches you how to integrate body and soul with traditional training principles. Whether you are a person of faith looking to increase your level of fitness or a fitness enthusiast looking to deepen your spiritual life, it’s time to say goodbye to excuses and hello to reaching your goals. Get fit and stay that way! A great way to try before you buy! Download Grit & Glory's 7-day Catholic Workout Challenge for FREE by joining the email newsletter from Our Sunday Visitor. Enter your email address below and receive access to exclusive teaching, product discounts, and encouragement designed to bring your faith to life!